Parenting is not an easy job. Parents usually know what their children should be doing -- getting plenty of sleep, lots of exercise, and having limited screen time, among other things -- but applying these goals to their children is not always easy. 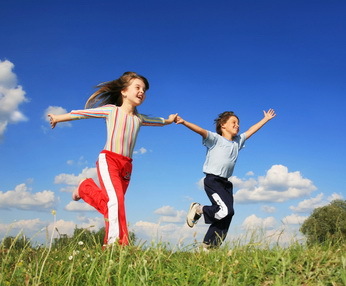 A recent study reported in the British medical journal Lancet Child and Adolescent Health looked at 4524 children in the U.S., aged 8–11 years, to examine the extent to which these elementary age children met current recommendations set forth in the Canadian 24-Hour Movement Guidelines for Children and Youth. These recommendations include getting 9-11 hours of sleep each night, at least 60 minutes of physical activity each day, and having less than two hours of recreational screen time daily. The children in the study were evaluated using the NIH Toolbox for the Assessment of Neurological and Behavioral Function , which looks at such components of cognitive function as Executive Function, Episodic Memory, Language, Processing Speed, Working Memory, and Attention. The researchers found that just over one-half of the children met the sleep recommendations. 37% of the children met the limits on screen time, and only 18% met the physical activity recommendations. 71% of the children met at least one of these recommendations but only 5% met all three. Almost 30% of the children in the study met none of the three goals. The more of these goals the children met, the higher they scored on the NIH Toolbox Assessments. Children who met the goals for limited screen time and sufficient sleep (likely connected in their daily lives) scored roughly five percent higher on the NIH Toolbox parameters than did those children who met neither. Hopefully, seeing the real, positive associations between meeting the recommendations for these behaviors and improved cognition may be enough to reinforce parental efforts to get their children to meet these laudable goals for sleep, exercise, and screen limits.